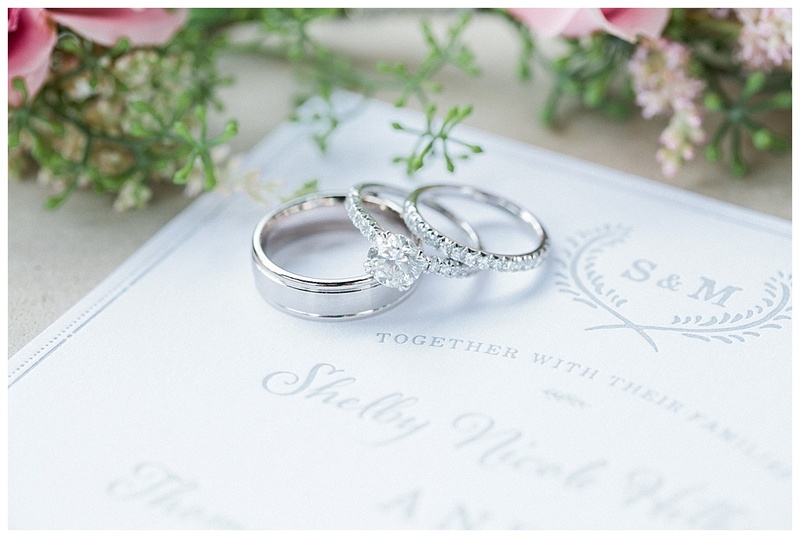 When Shelby and her Mom sat with me in my office to plan Shelby’s wedding day, I knew this was going to be some Summer time fun in the South! 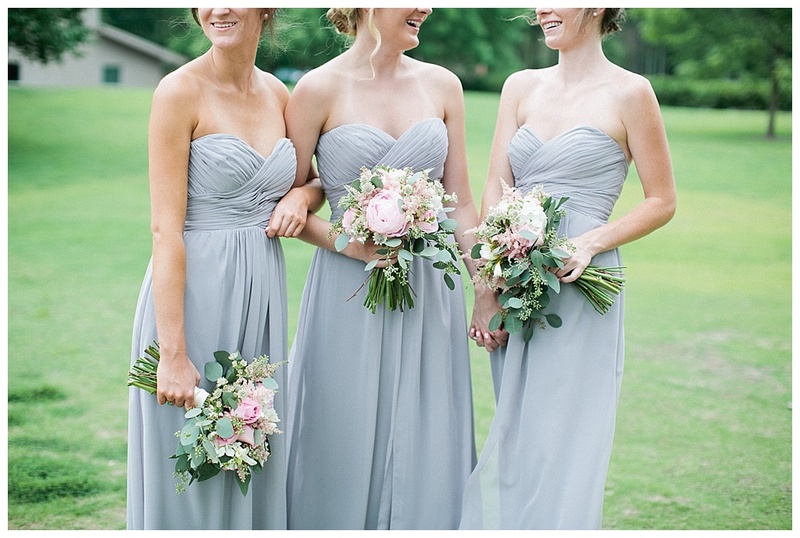 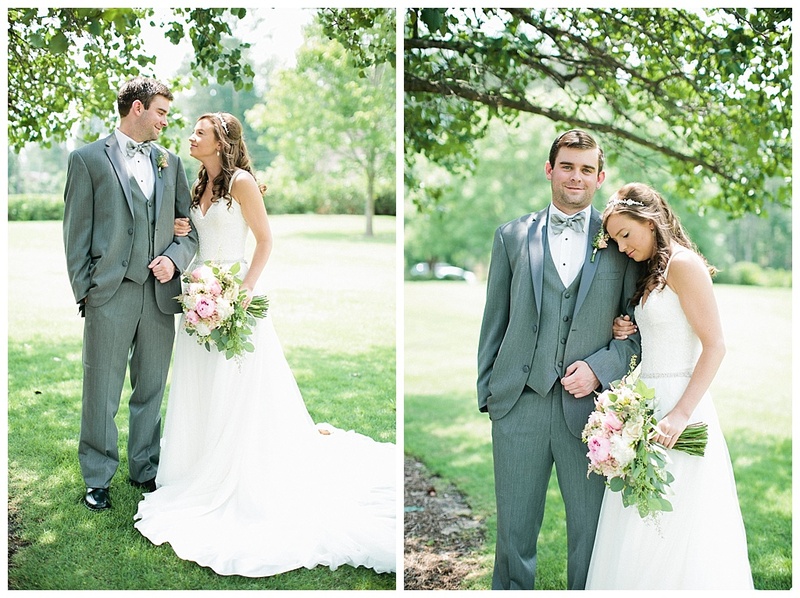 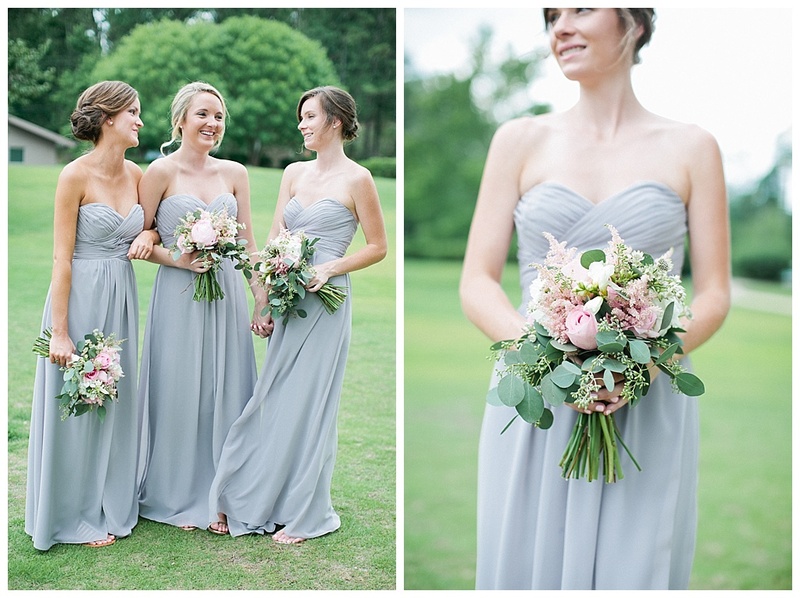 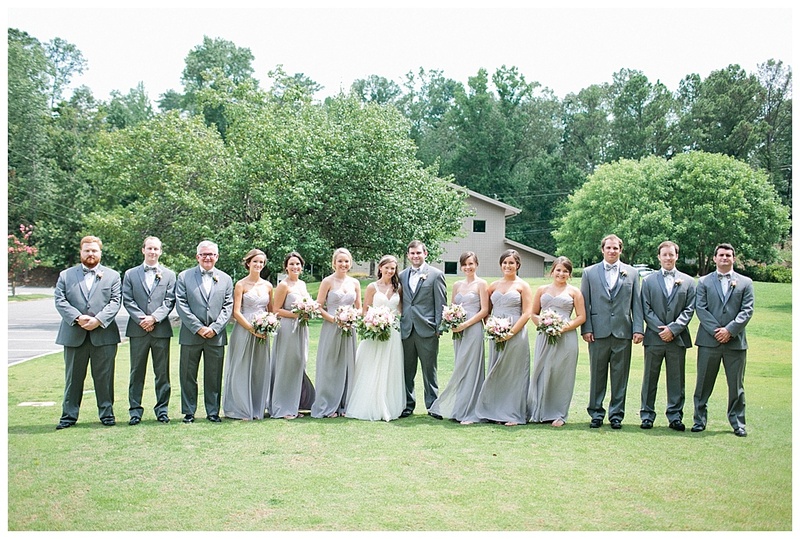 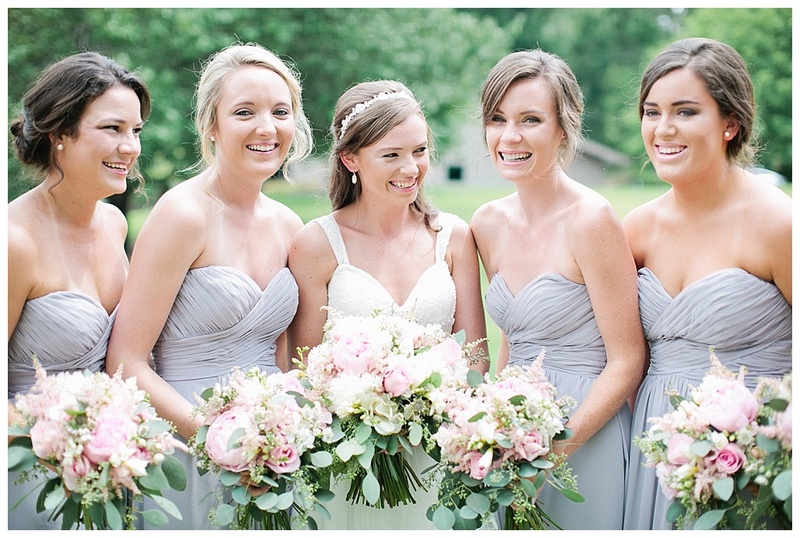 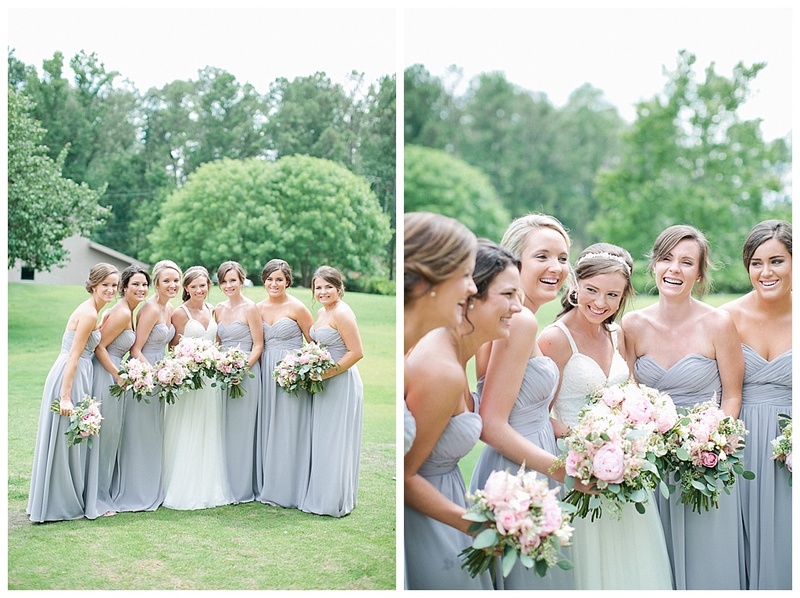 The color scheme was pale blush pinks, creamy ivory tones, silvery greens and, as Shelby described her bridesmaids’ dress color, “happy grey”. 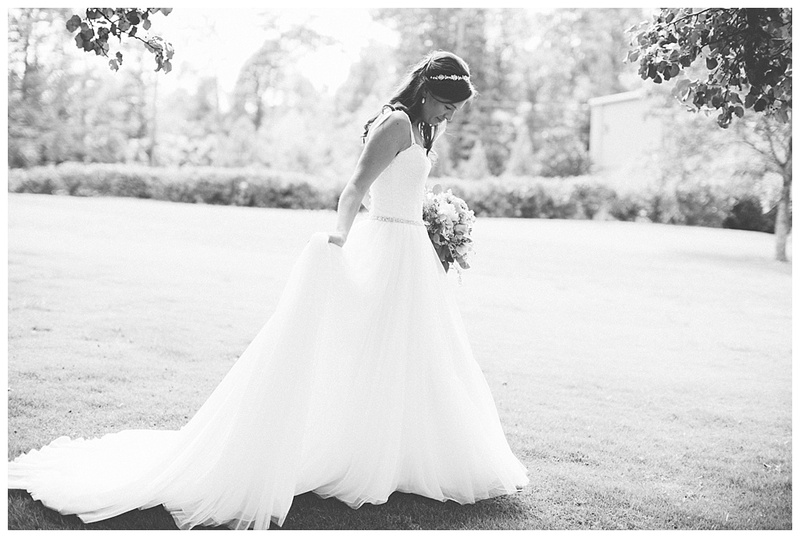 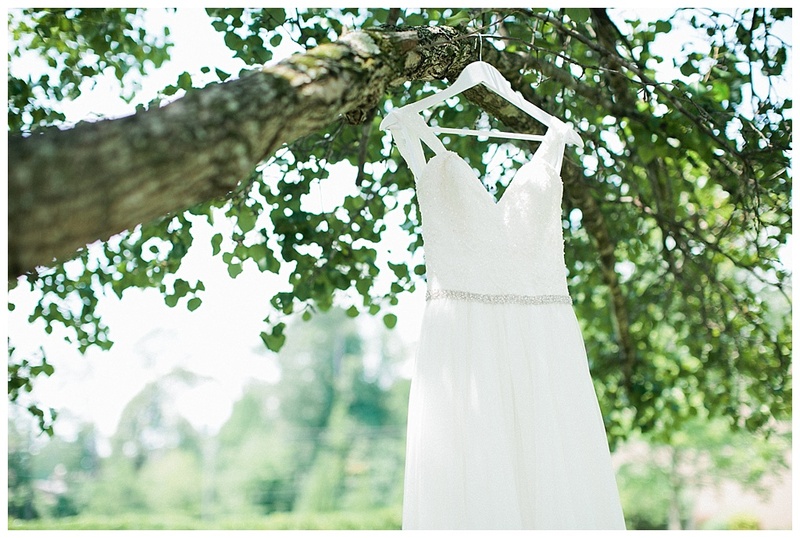 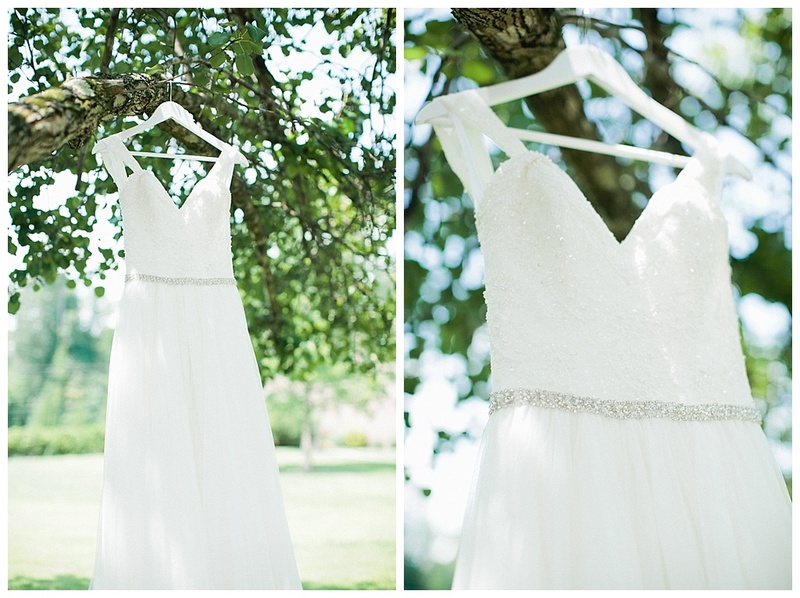 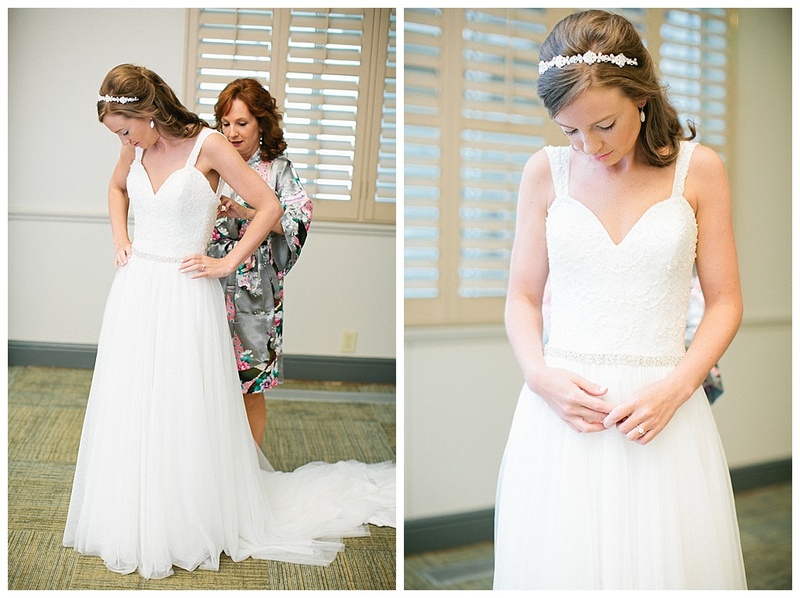 I loved Shelby’s choice in her wedding gown from Bridal Bliss with thin straps and a classic look with just a touch of bling around the waist. 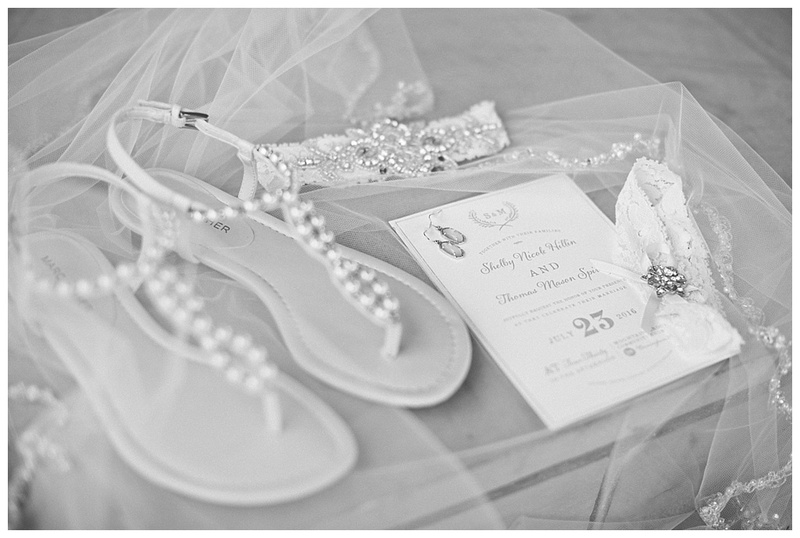 She also chose to be cool and comfortable with her fun and adorable flat shoes accented in pearls. 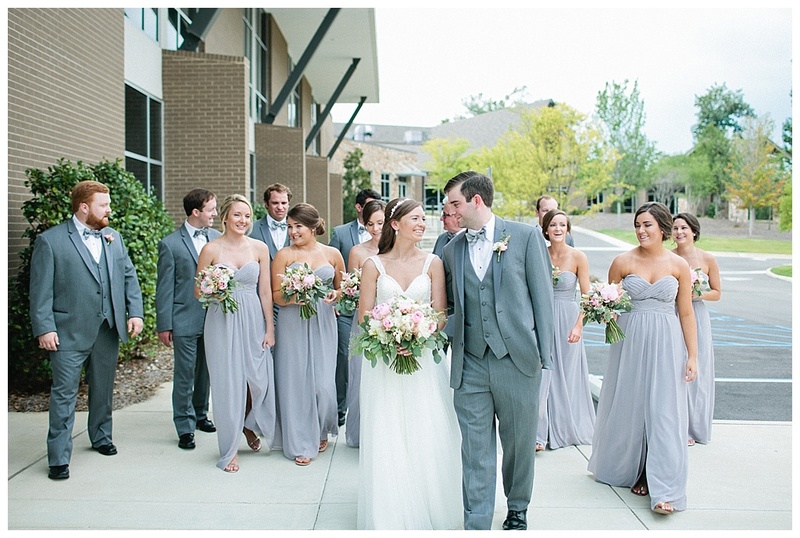 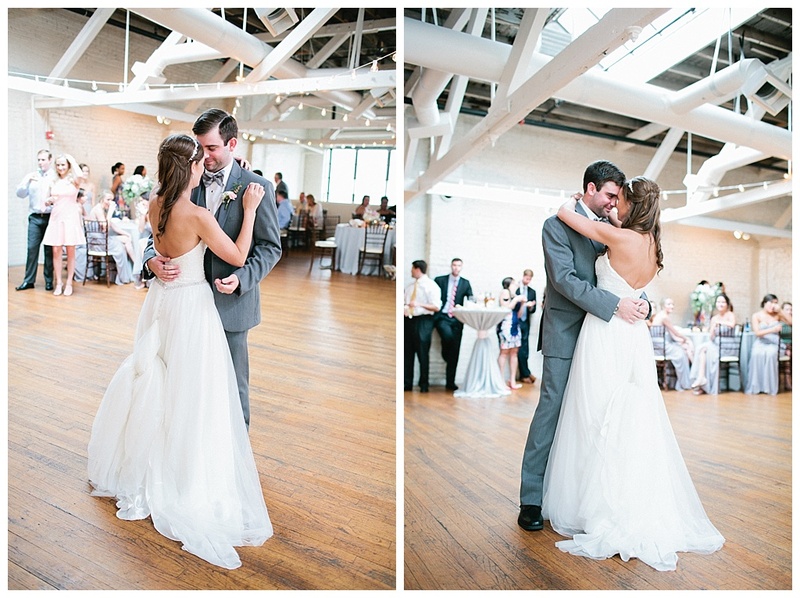 Shelby’s look was very soft and feminine, comfortable and “happy” filled with so many memorable moments like having her brother walking her down the aisle to so much fun with her live band entertaining about 200 guests. 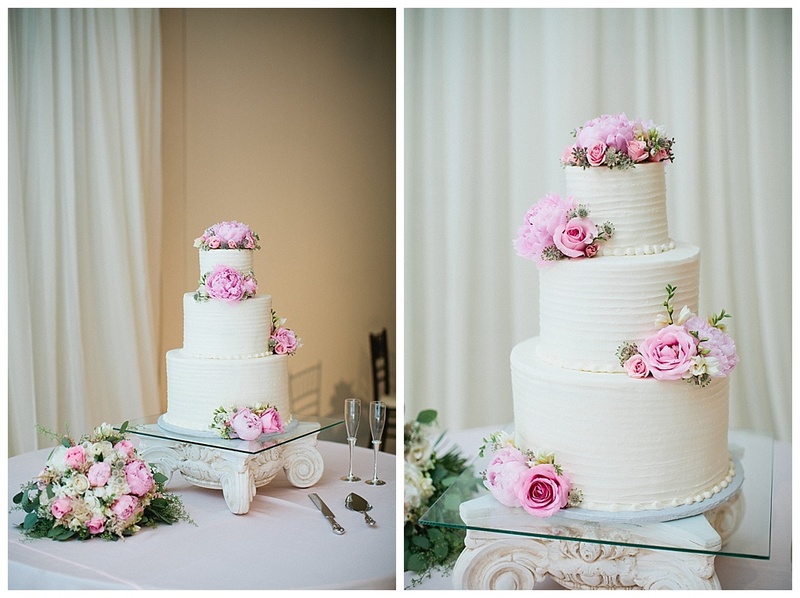 Her wedding cake was a white buttercream 3 tiered cake garnished with gorgeous pink florals. 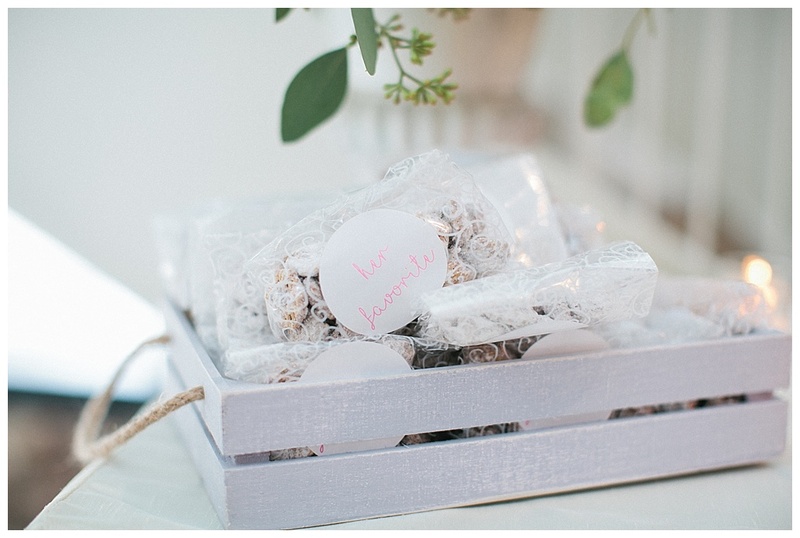 Another sweet treat Shelby and Mason gave their guests was a sweet basket of their favorite treats they like to enjoy! 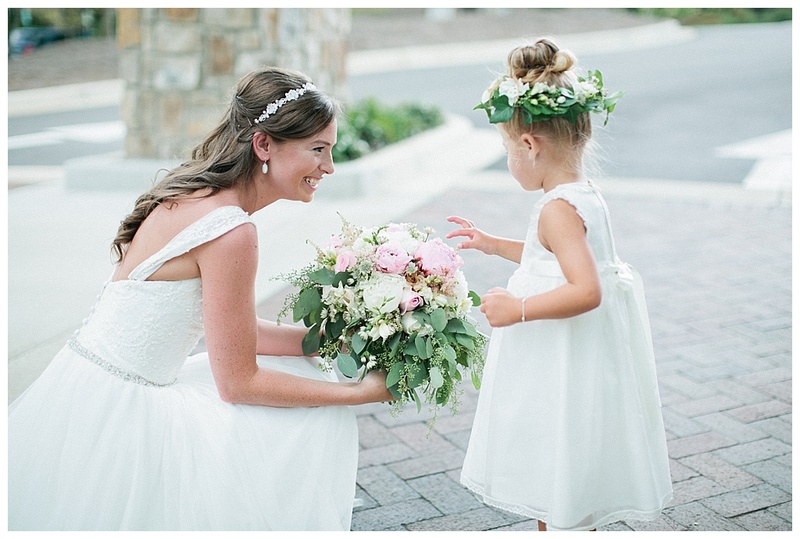 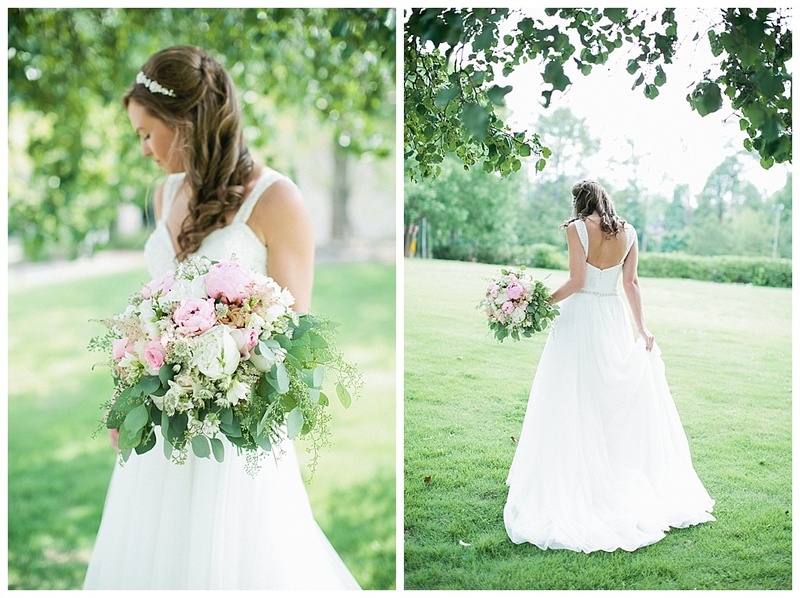 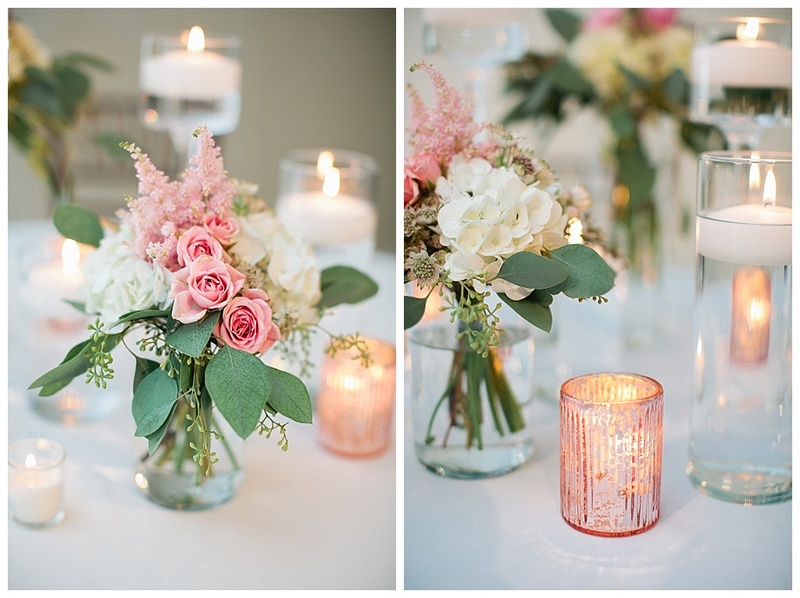 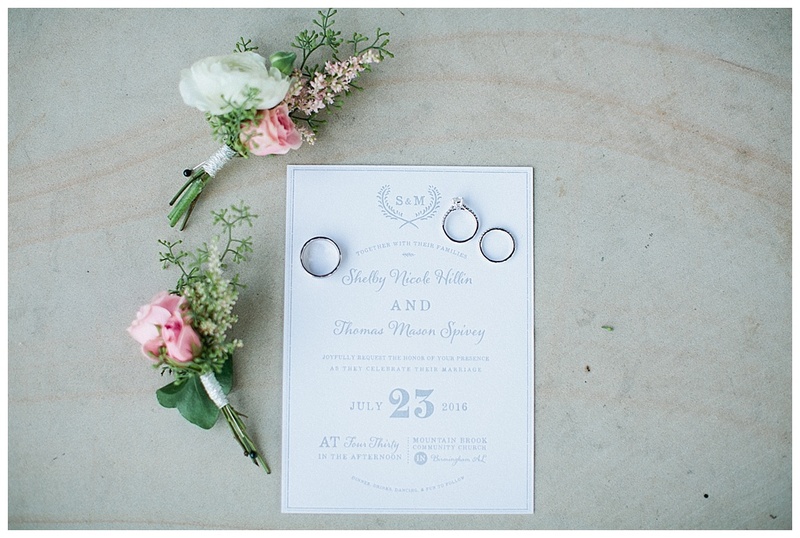 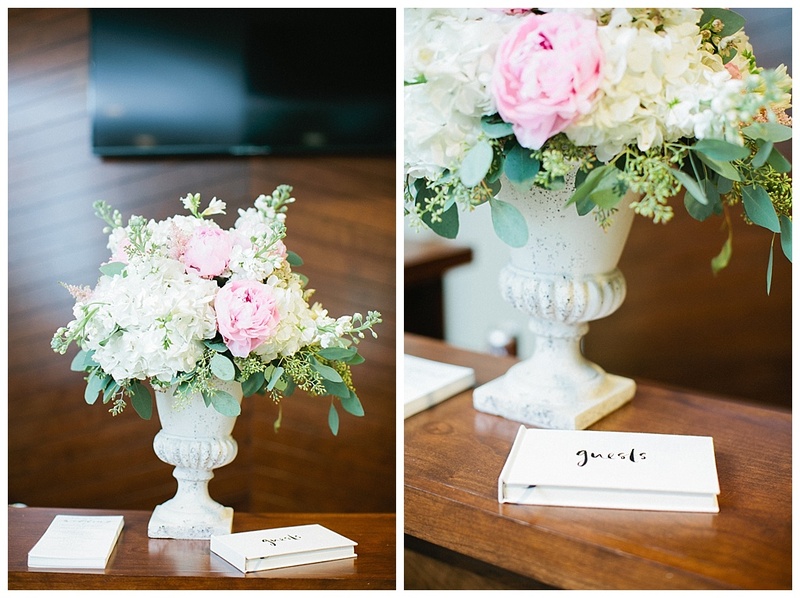 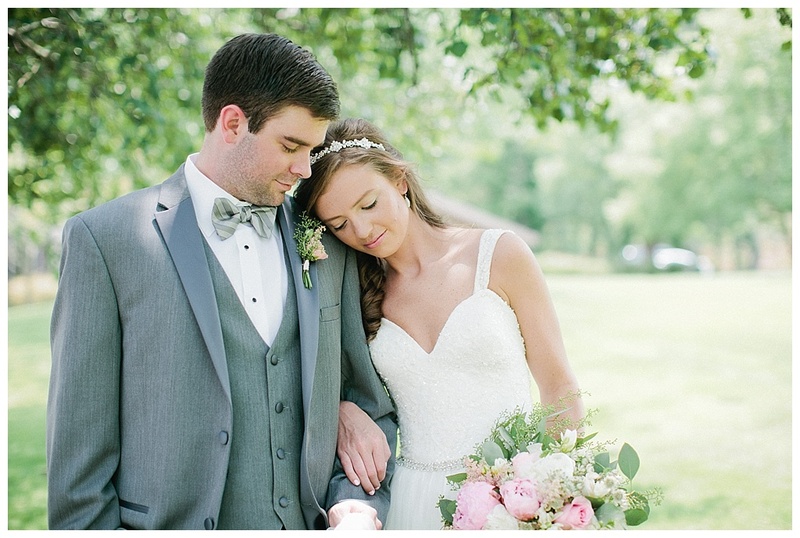 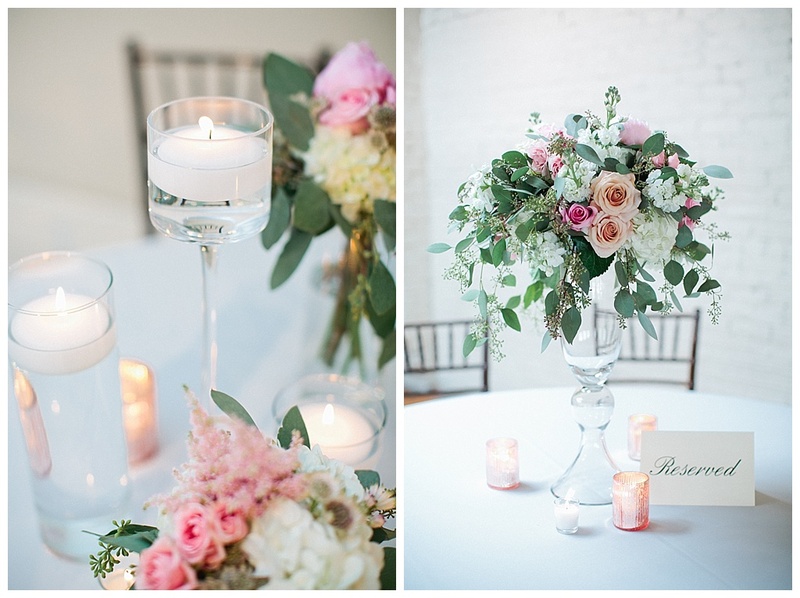 The floral design was a romantic look of pale blushy pinks and light sage greens. 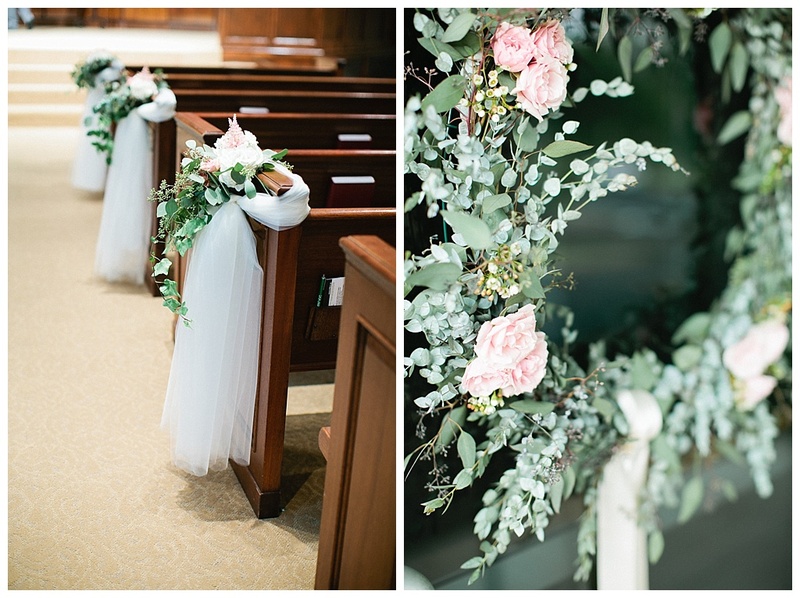 Beautiful Summer time wreaths hung on the church doors which then moved over to the venue’s front doors. 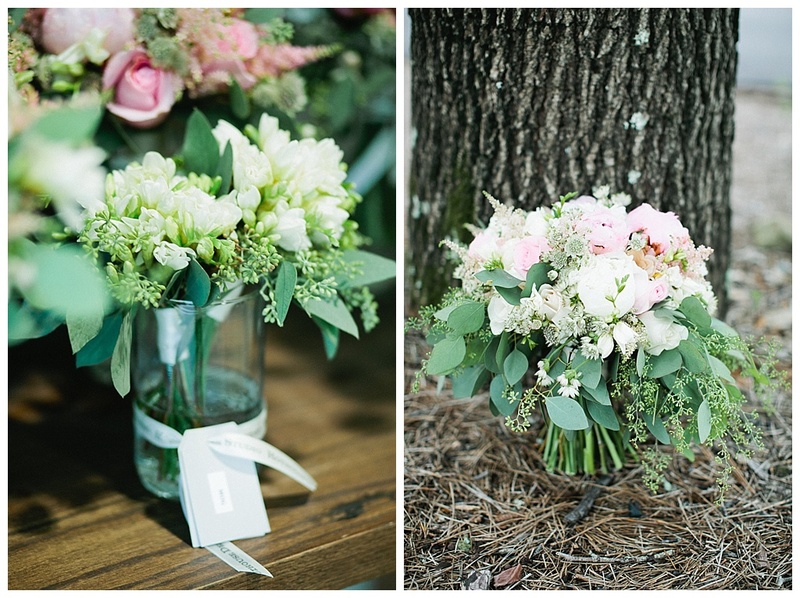 I love stretching that floral budget and using anything we can from church to reception! 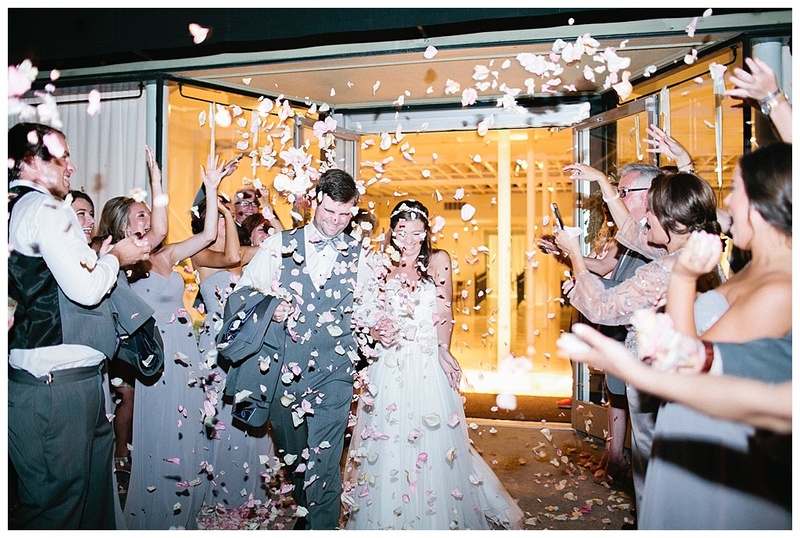 Our floral designer Hot House Design Studio did a fabulous job bringing all the romance to life and thank you to Emily Dean Photography for all of the gorgeous images so we can re-live the entire day all over again! 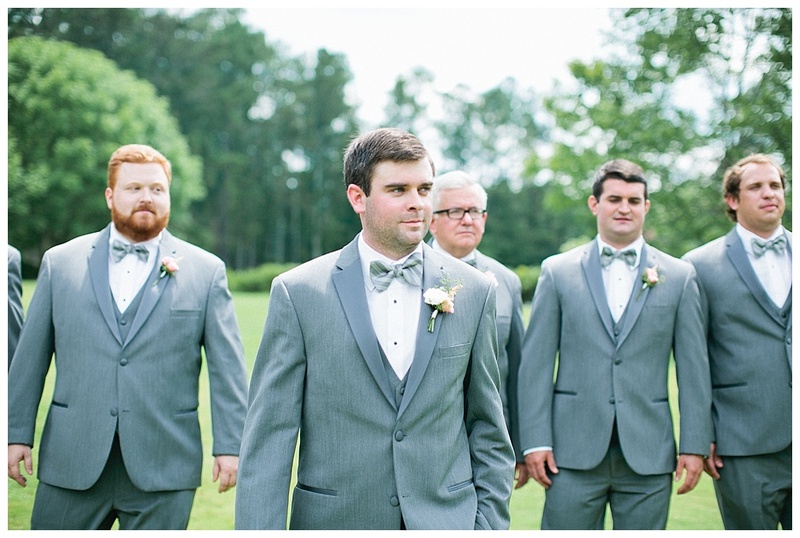 Men’s attire by our dear friends at Mr. Burch Formal Wear Mountain Brook Village, Hair and Make up by the fabulous Brittany Spears with Joyce’s Formals and as always our wonderful transportation company who provides all of our antique cars for our AK Brides is James Coats with Coats Classic Cars. 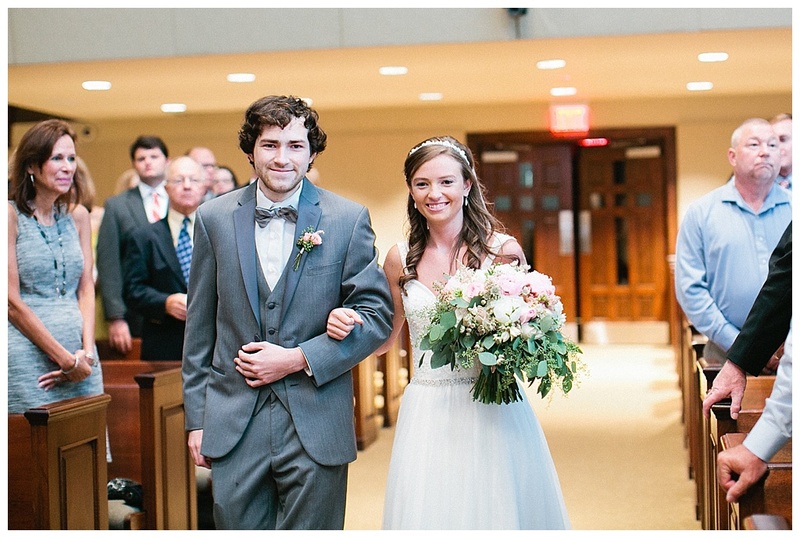 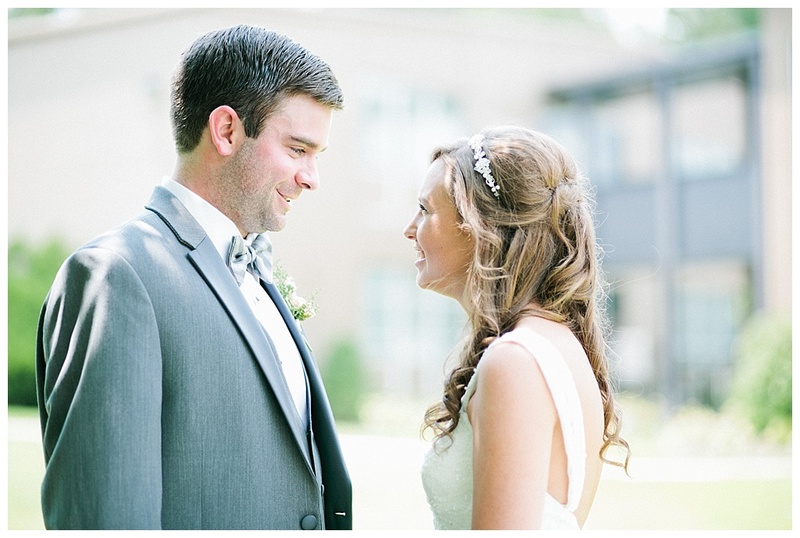 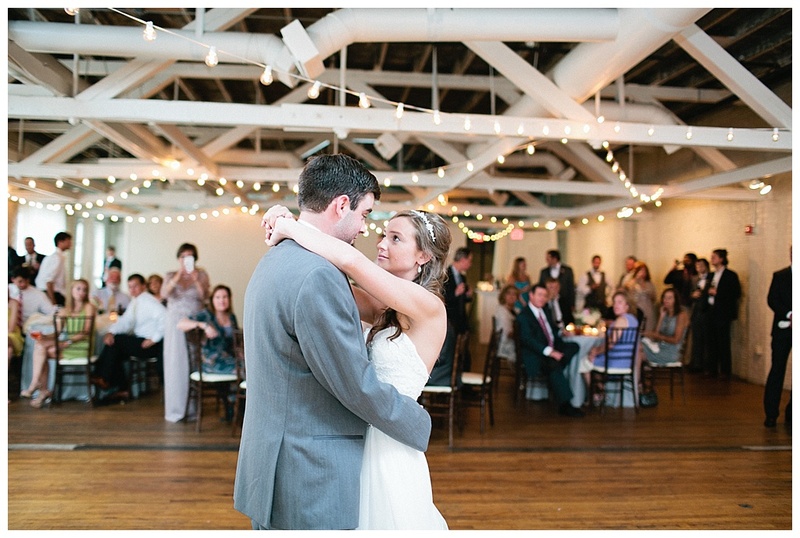 Thank you Shelby and Mason for being an AK Brides Bride and Groom!! 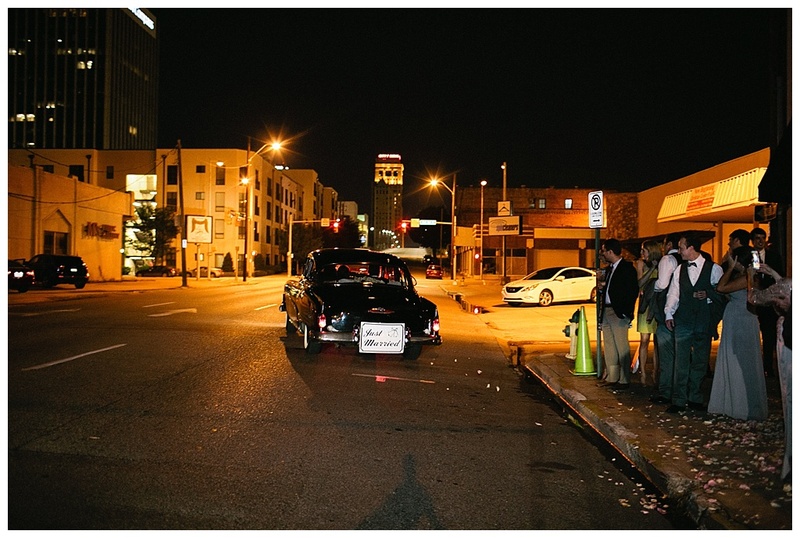 It was truly my pleasure and honor to serve you and your families on this most special of all special days for you!